Airedale Springs has completed the installation of 2 NEW FMU WIRE FORMING MACHINES. 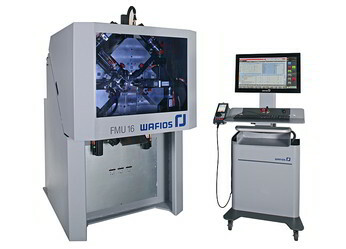 The Wafios FMU 2.7 with a wire range of 0.8 to 2.5mm and the Wafios FMU16 wire range 0.4 to 1.6mm complement our existing equipment and provide greater flexibility to our customers. The FMU16 is the very latest design of this range of equipment and keeps Airedale Springs at the forefront of wire forming technology. The addition of the two new machines brings our total to 8 Wafios wire machines with a range of 0.4 to 4mm wire diameter.